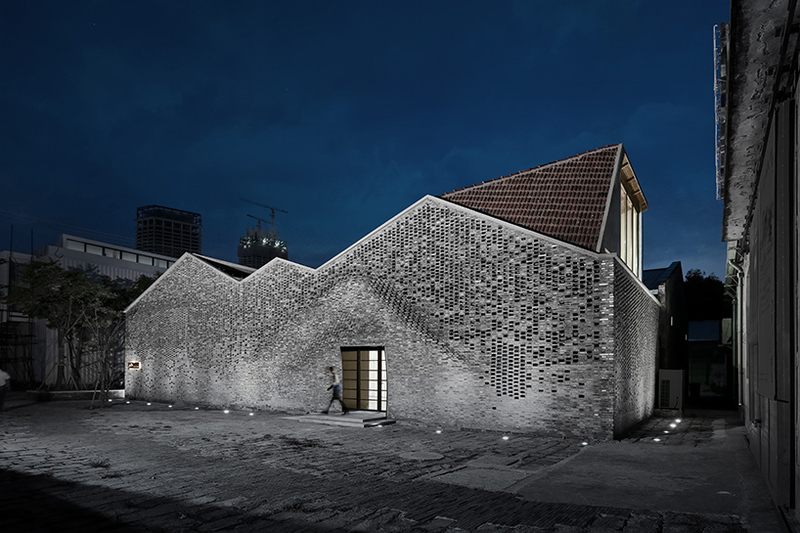 archi-union architects is a shanghai-based architectural design firm, which was founded in 2003 by dr. philip f. yuan. the studio provides solutions to architectural problems through a combination of academic research and practice, and specialization in architecture, urban planning, and interior design. archi-union employs more than 60 people of all design and construction disciplines and has successfully completed more than 20 projects in the past decade. 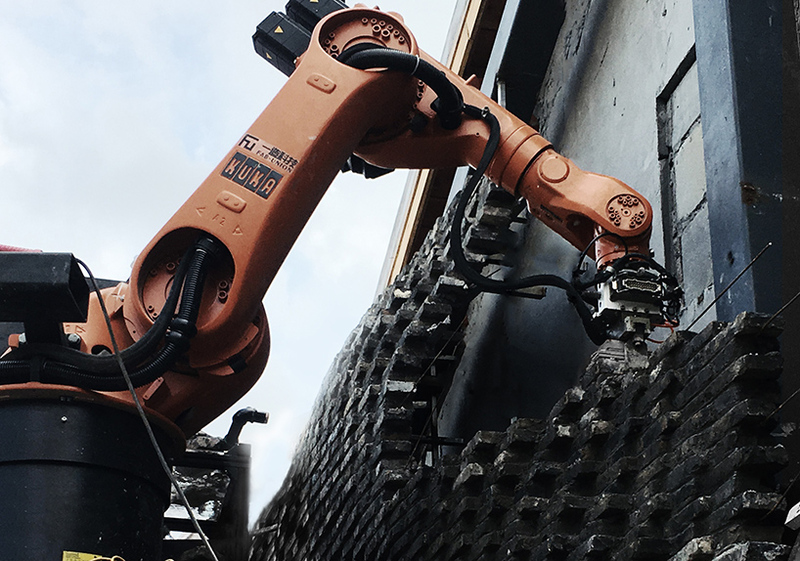 earlier this year, the ROB|ARCH conference returned to explore how robotic fabrication impacts the fields of architecture, art, and design. hosted by the swiss national centre of competence in research (NCCR) digital fabrication and ETH zurich, the event examined how the advent of robotics in the creative and construction industries has led to a revolution that has not just changed how things are designed and made, but also the broader cultural, political, and economic landscape. 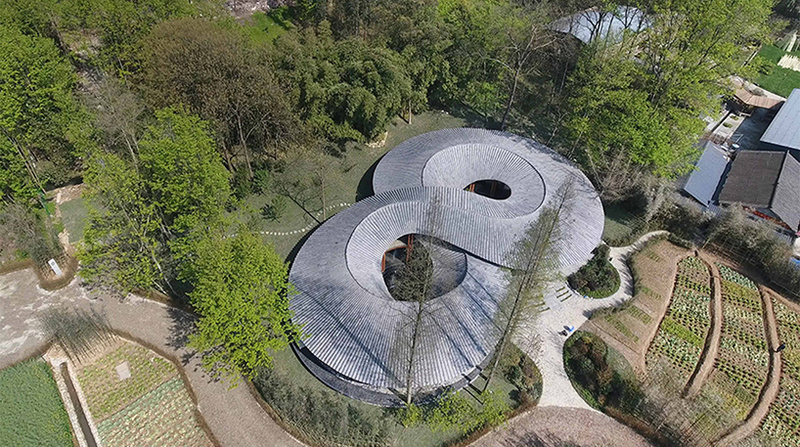 as an official media partner of ROB|ARCH 2018, designboom spoke with philip f. yuan, one of the event’s keynote speakers, who leads shanghai-based firm archi-union. 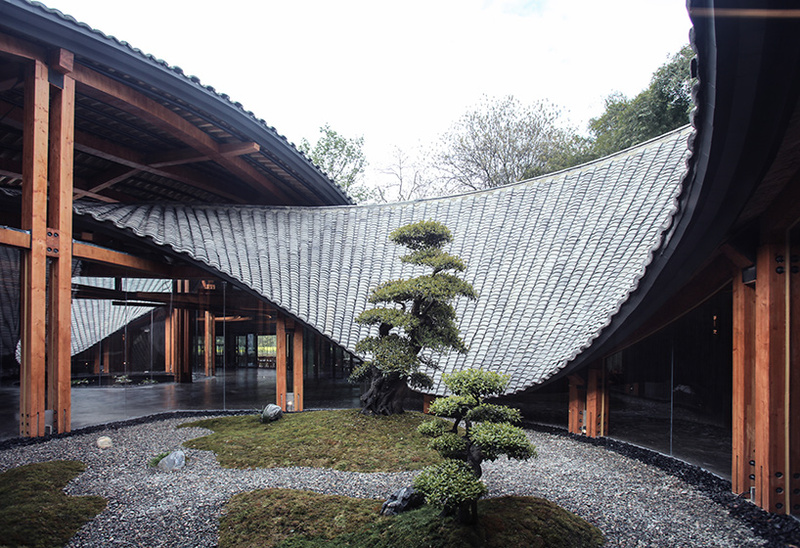 as part of the interview, which can be read in full below, the chinese architect discusses the importance of culture and tradition, and explains how robotic fabrication can lead to a ‘cyborg future’. designboom (DB): archi-union combines digital technology with craftsmanship. why is it so important to maintain a sense of tradition in your work? 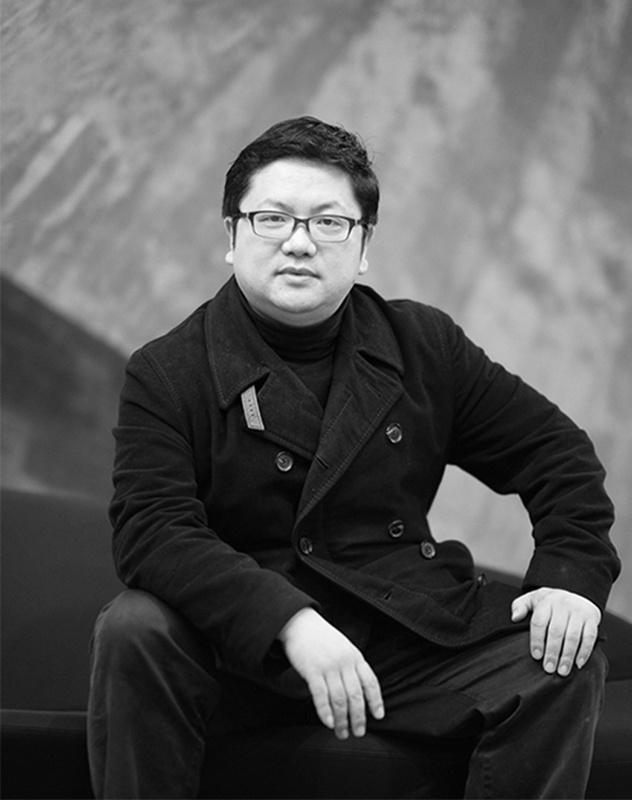 philip f. yuan (PFY): for our studio, digital technology is not only a design tool, but also a new thinking methodology, in which the thinking process unites both the global technology and local cultures. I often refer to this as a ‘glocal’ thinking process. 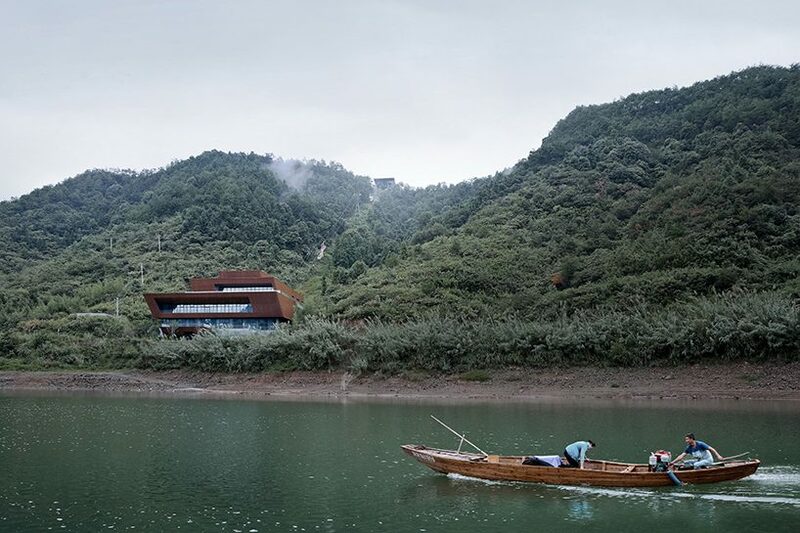 if an architect would like to construct a building within a local context, it would be essential to learn from and at the same time to education the local traditions and local construction industry. I have been doing a number of projects in rural areas or highly localized areas in china. I noticed that learning from the local could assist to rationalize many aspects within the design such as materiality and social performance and at the same time, integrating global theories and technologies into tradition would redefine and even upgrade the production process of traditional rural construction. DB: you have used the phrase ‘digital tectonics’. can you explain what this means in relation to your projects? PFY: the term ‘tectonics’ combines the idea of fabrication and culture. the poetic process is seen not only in designs, but also embedded into construction. in addition to it, digital tectonics utilizes robotic and digital tools to represent process from design to fabrication and foresees its entire lifecycle. DB: can you recall when you first became interested in the possibilities of digital technology and robotic fabrication? PFY: I started to teach joint studios between MIT and tongji univeristy in 2003 and later during 2008 and 2009, I was invited as a visiting scholar to MIT. the experience of teaching and communicating between two universities has brought potential influences into my later research directions. digital aspects started to appear in my studios. at the same time, I was also fascinated by robotic fabrication technologies, automation and the potential collaborations between machines and human, which I believe would really reshape the future architectural industry. DB: what do you consider to be digital technology’s most interesting aspects/potential? PFY: the development of artificial intelligence and mobile devices has set up a new social system, named as ‘information society’, which allows for quick information exchange and visualization. by visualizing all the abstract aspect within design, we are able to integrate virtual reality into physical fabrication and materialization process. such information based knowledge system will shift the relationship between design and fabrication, as well as architects and fabricators. the renaissance age has celebrated craftsmanship the culture of ‘makers’ in which the role of architect and fabricator was blurred. 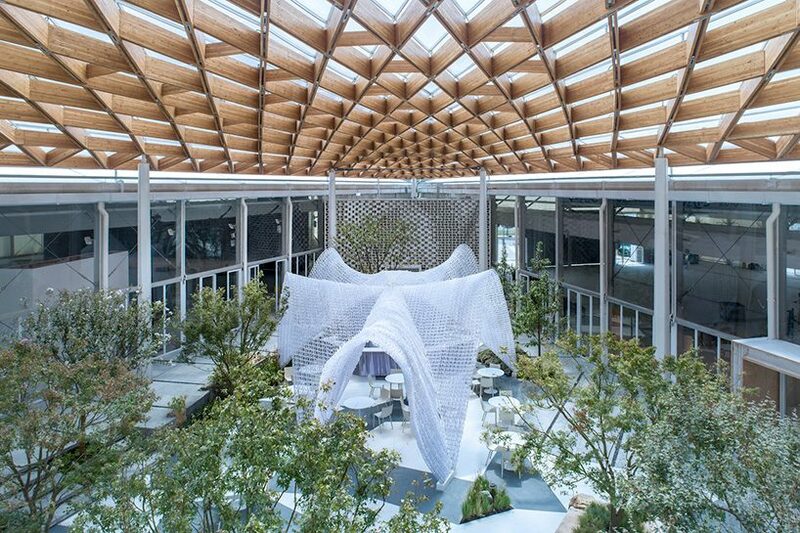 nowadays, the implementation of robotic technologies introduces new fabrication ‘partners’ to architects and such collaboration-based relationship will evoke new craftsmanship for the current social system. it would be a creative and innovative process and I can see loads of potentials in the robotic age for architectural industry. DB: how do you develop your ideas? do you often sketch/draw, even though computers are so prevalent? PFY: I was educated to design in a conventional manner and back then we did not even have computers. now in our studios, we use both hand drawing/ sketching and computational iterations to test design ideas and the decision making process is often base on the combination of both. ‘going digital’ doesn’t mean we replace architects with machines. instead, we form collaborations. we utilize digital means to assist architects to visualize and analyze intangible aspects or abstract ideas in the physical world, as well as to simulate and optimize the designs. the fabrication process can even be more precise and efficient through the use of machine, thus releases human beings from repetitive laboring to work in a more creative and innovative manner. since the era of industrialization, the use of machine is irreversible and thus ‘design’ should not be a human oriented process anymore — instead, a collaboration process. 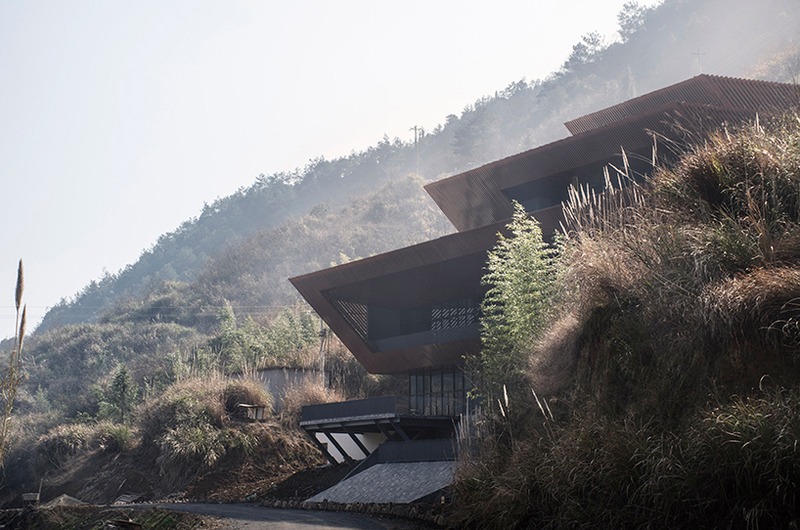 DB: how do you assess the current state of architecture in china? PFY: in the last 30-40 years, china has created many miracles in architectural and real-estate industries and of course, the development has also raised series of issues. perhaps now it is time for us to re-think and re-value our design and construction process within the industry in a more ethical manner for not only efficiency, but also environmentally friendly approaches. and also for the future, I do see the potential of replacing a large number of labors in architectural and construction industries since the cost for labor has become too high for the industry to afford, especially for constructions in china’s rural areas. DB: what do you think other countries can learn from china? and what can china learn from other countries? PFY: the past 30 decades is a witness of fast-developing economics and construction of china. based on the spirit of experimentation and exploration, our industry has been able to turn a number of utopian ideas into realty and we have established a highly efficient relationship between research and practice. however, the other side of the ‘rapid speed’ is also questionable, in which the quality and reason for the growth needs to be critically reflected. we should start to consider designs that have more dialogues with the ecology, urban context and ethical duties as human beings, which have been discussed many years in other countries. 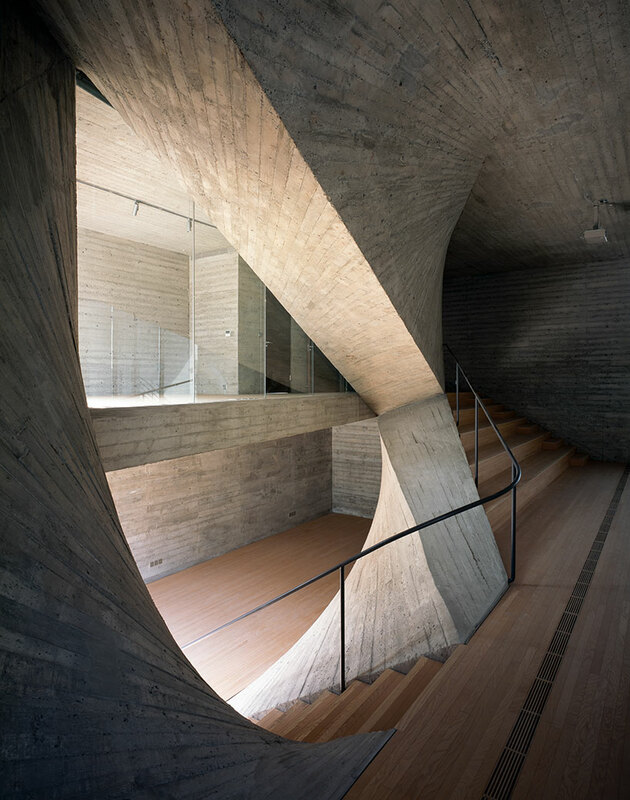 meanwhile, it is also important for us to focus on exploring innovations in architecture, especially the essential part such as materiality, structure and construction techniques. DB: what do you feel are the biggest challenges for architects today? and how can robotic fabrication help? PFY: architecture is not just about solid blocks; instead we are defined by broader definitions including both tangible and intangible elements like process and information. thus I believe the current challenge for architects is to understand not only the design, but also other aspects around our discipline such as structure, engineering, computer science and etc. as a result, such shift will also challenge the future architectural education structure, which requires us to build up a systematic knowledge structure and constantly learn from surrounding disciplines to be able to cope with the ever-changing world. in this context, our studio has taken the advantage of robotic fabrication and embraced it into the practice as a collaborative partner. DB: what is the role of an architect in today’s society? PFY: in many projects, architects are not only designers but also curators, who need to produce not only drawings and images, but also understand the organization of social and construction networks and foresee the process from paper to reality. this requires us to build up an integrative thinking system and self-education abilities for always embracing new knowledge and technologies. DB: are you optimistic about the future of architecture? PFY: I am very optimistic about the future and I see loads of opportunities ahead. the discipline for future architecture will extends from ‘physical (3 dimensional)’ to ‘virtual (hyper-dimensional)’ and architectural experience will include not only ‘spatial’ but also other forms of interactions such as exchange of information and process visualization. thus the future architecture will require extensive amount of customizations for different users and different interfaces of communication. we would shift gradually from a human-centralized process and rely more and more on machines and digital means. I refer to this as a ‘cyborg future’. the ROB|ARCH 2018 conference series is a collaborative effort between the hosting universities, industry partners and the association for robots in architecture. initiated by the association for robots in architecture in 2012, past conferences were hosted by the technical university vienna (2012), the university of michigan’s taubman college of architecture and urban planning (2014), and the university of sydney’s faculty of architecture, design and planning.